The expression `ten kei` can be translated as `a gift from heaven` and symbolizes the beauty of nature. The hand-made fine floral motives finished with gold and silver are inspired on ten kei. 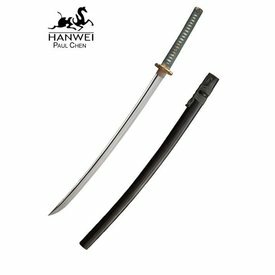 This katana has a length of 101 cm with a blade of 71 cm and a grip (tsuka) of 29,5 cm. 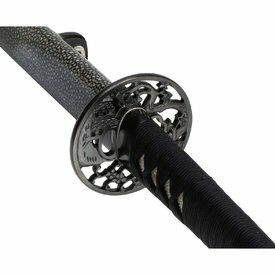 It weighs 1050 g. The blade is hand-forged in the elaborate Kobuse style. 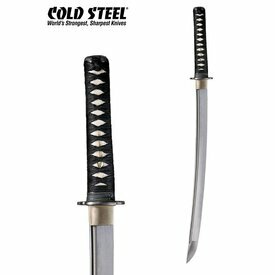 It has a softer core of low-carbon steel surrounded by harder 1095 carbon steel. The blade has different hardnesses varying from HRC 60 at the cutting edge to HRC 40 at the back of the blade. These differences in the hardness are visible in the well-crafted blade pattern (hamon). 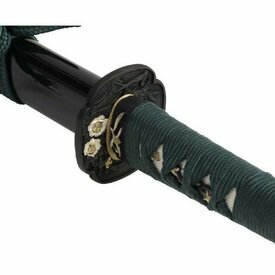 The grip wrapping is made of green silk in the Katate-Maki style underlaid with genuine shagreen, this style is typical for battle. 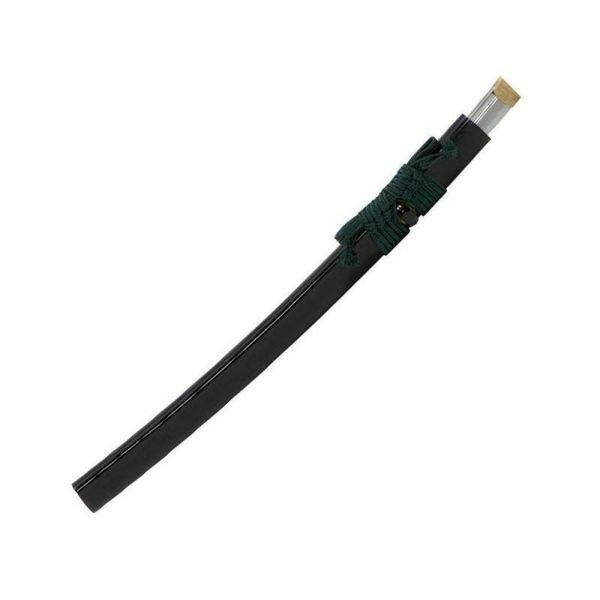 It also has a black high polish lacquered scabbard (saya) in the Kuroro style with closings (kojiri, kurigata, koiguchi) made of buffalo horn. 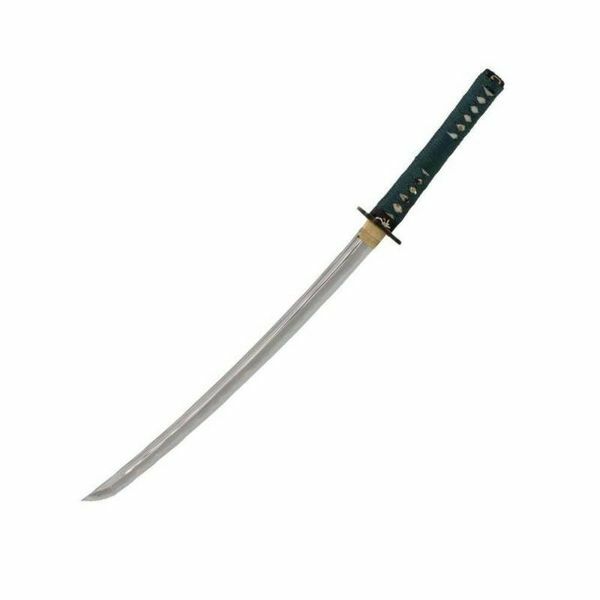 It has a long tang (nakago) which is fixated in the grip with two bamboo pins (mekugi). The katana is delivered including a striking wooden collector`s box and a high polish lacquered stand with velvet. 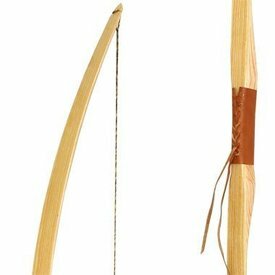 John Lees models are inspired on historical originals and are high quality weapons. No plastics are used, only high quality authentic materials, like metal, brass, wood and shagreen. 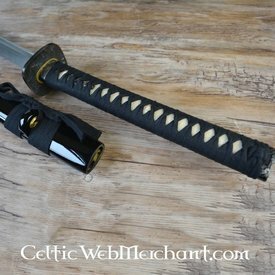 Every John Lee weapon is delivered including a seal and a certificate of authenticity. 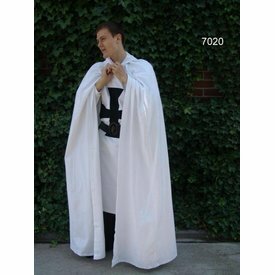 We do not sell this product to customers under the age of 18. Click here for more information on the European arms acts.